On Christmas afternoon in 1992, Steven Emerson, then a staff reporter for CNN, noticed a large group of men in traditional Arab clothes congregating outside the Oklahoma City Convention Center. At first, he thought they were extras for a movie—until he remembered the date. So, he explored a bit; inside, he discovered a conference sponsored by the Muslim Arab Youth Association. The vitriol of the speakers, replete with hateful rhetoric against Jews, Israel, and America mixed with exhortations of violence toward these enemies, alarmed him. Spontaneous shouts of "Kill the Jews" and "Destroy the West" came from the audience throughout the event. Steven Emerson has emerged as a powerful independent force, working with U.S. security services while also carrying out investigations on his own in areas beyond their reach. Worried by what he had witnessed, Emerson notified a contact in the FBI, only to be told that the agency knew nothing about the conference and also lacked a mandate to investigate it because no criminal activity had occurred or was imminent. This experience indelibly impressed him, leaving a sense of government weakness and suggesting the need for a private agency to explore the threat of radical Islam within the United States. On graduation from Brown University, Emerson (b. 1954) went to work as an analyst on the staff of the Senate Foreign Relations Committee. He served as an international investigator and helped shape the aid package to Israel and Egypt following the Camp David accords in 1978. He honed his skills while working for the committee until 1982, during which time he developed an abiding interest in Middle Eastern affairs. In 1986, he joined U.S. News & World Report where he worked as a national security correspondent. During this time, he authored two books: Secret Warriors: Inside the Covert Military Operations of the Reagan Era and The Fall of Pan Am 103: Inside the Lockerbie Investigation. In Secret Warriors, Emerson argued that technical breakdowns, bureaucratic disarray, presidential interference, and professional jealousy contributed to the inertia of America's elite forces. This perception may have played a large role in convincing him that government alone is inadequate to the challenges of modern terrorism. In The Fall of Pan Am 103, he promoted the theory—then held by the U.S. government—that Iran was responsible for the bombing of the flight over Lockerbie, Scotland, in 1988. Since that early experience in Oklahoma, Emerson has emerged as a powerful independent force who works with U.S. security services but carries out investigations on his own in areas beyond their reach. He does not take any funds from the government. In 1995, he established his own think tank, the Investigative Project on Terrorism (IPT), which has since conducted investigations into many Islamist and terrorist groups and individuals. The IPT has stirred up more hornets' nests than many government agencies. Its acute focus has allowed it to hone in on targets that broader agencies missed. Emerson's initiative has paid off handsomely. The Islamist campaign to implement Shari'a law presents a grave challenge to the United States and all Western countries. And while a security apparatus has arisen to defend against these threats, several nongovernmental bodies have emerged as critical adjuncts in the effort to identify those who work within the law to change the Western way of life. Compared to Western Europe, the United States has an unusual approach to domestic political extremism. Since 1976, the FBI has officially conducted surveillance of extremist and potentially violent groups under the attorney general's guidelines, established after revelations of misconduct and abuses arising from the COINTELPRO initiative, a secret program through which the FBI disrupted both far-left and far-right groups. However, the extremely well-coordinated attacks of 9/11 exposed gaping holes in the area of human intelligence and impelled the government to reexamine and recalibrate this policy. In response, the FBI relaxed its guidelines for investigations of religious extremists, and the federal government now allows information to be shared between intelligence and law enforcement agencies. Moreover, to augment their investigatory functions, the authorities increasingly rely on recently created, private monitoring groups, including JihadWatch.com and the Middle East Media Research Institute (MEMRI). Their efforts are complemented by think tanks such as the Middle East Forum and publications such as the Middle East Review of International Affairs. Operating in a decentralized fashion, private entities can be more flexible and effective than government agencies in providing time-sensitive and actionable intelligence resources. For example, MEMRI releases high-quality, up-to-date information and translations about radical organizations, frequently before such intelligence is processed by government. Emerson's IPT has established itself as the most effective nongovernmental organization (NGO) monitoring Islamic radicalism. It is the only private entity in the United States that conducts undercover research into the activities of Islamist groups. To preserve its independence, IPT accepts no funds from the U.S. government or donors outside the United States. Emerson's IPT focuses primarily on U.S.-based Islamist groups, some working in legal ways to undermine American society, others with links to terrorist organizations overseas. Along the way, he has created an unparalleled undercover investigative apparatus. According to Rep. Sue Myrick (Republican of North Carolina), cofounder of the bipartisan Congressional Anti-Terrorism Caucus, "The Investigative Project is the only one out there who is really doing substantial research into what is going on in the world and here in America. They are actually researching … they are verifying how these [jihadist] movements are taking place. … I don't know of anyone else who is doing the same thing." Emerson has returned the compliment: "Congressmen like Frank Wolf, Pete Hoekstra, and Sue Myrick have shown a backbone that is unparalleled in Congress in courageously tackling the Muslim Brotherhood, CAIR [Council on American Islamic Relations], and other Islamist groups, and radical Islamic groups. So it shows there are brave Congressmen as well." Like Emerson, Myrick focuses less on outright terrorism than the infiltration of American institutions by Islamists. Alliances like this lend strength to Emerson's own efforts. The task of exposing and combating Islamist organizations and individuals takes place in a highly political context and requires high-level lobbying and juristic skills. Emerson undertook effective investigations on his own before he started the IPT. Most notable was his 1994 documentary Jihad in America, which raised awareness of the threat of radical Islam in the United States. The film focused on a Palestinian, Abdullah Azzam, who founded the Arab Fighters Service Bureau in Afghanistan to recruit and train thousands of mostly Arab jihadists. Osama bin Laden, a protégé of Azzam's, cofounded the bureau and later transformed it into Al-Qaeda. The bureau's North American office, the Al-Khifa Refugee Center in the Al-Farooq Mosque in Brooklyn, soon became the hub of a network that included outposts in Atlanta, Chicago, Connecticut, and New Jersey. Interestingly, while in Pakistan and Afghanistan for several months in 1993, shooting the documentary, Emerson befriended Azzam's son Hodeyfa. After Azzam's assassination in Pakistan in 1989, the blind Egyptian sheikh, Omar Abdel Rahman, emerged as the spiritual leader of the international jihadist wing of the bureau. In 1990, Abdel Rahman, who had been expelled from Egypt, was allowed to emigrate from Afghanistan to the United States despite having been named on the State Department's terrorist watch list; he settled in the New York city area. Soon, a circle of Islamists congregated at his Al-Salaam Mosque in Jersey City. In 1990, one of his followers, Egyptian-born El Sayyid Nosair, assassinated Rabbi Meir Kahane, the Israeli politician and founder of the Jewish Defense League. A few years later, other Abdel Rahman followers linked up with Ramzi Yousef, the mastermind of the 1993 World Trade Center bombing, which killed six persons and wounded 1,042 others. Emerson's work in uncovering and exposing this network complemented the efforts of official agencies operating under greater constraints. Since August 1994, Emerson has testified before or informally briefed the United States Congress hundreds of times. His efforts appear to have had an influence on lawmakers. The videotape of his first documentary, Jihad in America, was distributed to all 535 members of Congress and, according to Rep. Chris Smith (Republican of New Jersey), it played a significant role in persuading them to pass the USA Patriot Act in the fall of 2001. In 2002, he published a book entitled American Jihad: The Terrorists Living Among Us, in which he traced the development of radical Islam in the United States. He also testified before the National Commission on Terrorist Attacks upon the United States (the 9/11 Commission) in July 2003. In later testimony before the U.S. Senate Judiciary Committee on November 8, 2005, he charged that Saudi Arabia had funded a vast network of charities and religious organizations that had ties to terrorist groups, including Al-Qaeda and Hamas. This testimony prompted Treasury and National Security Council investigations into the labyrinth of radical Islamic charities operating in the United States. According to federal officials, these investigations led to an effort within the agencies to shut down some of the charities but nothing was done; the Clinton administration lacked the political will to close down the charities. Only after the 9-11 attacks did that will emerge and efforts to shut down the charitable fronts succeed. Emerson has focused primarily on the fundraising activities of mainstream Muslim groups and their links to the more radical organizations for which they serve as fronts. As he has observed, one of the most important activities carried out by Islamist groups in the United States has been the establishment of nonprofit, tax-deductible organizations to establish zones of legitimacy within which fundraising, recruitment, and even terrorist planning can occur. Using a technique first developed in the Middle East, these groups often provide American Muslims with much-needed social services such as education, nutrition, and health care so as to win over and manipulate them. This activity is usually justified by reference to the religious duty of paying zakat (the Islamic alms tax). This practice creates substantial good will and much social capital for those Islamist groups who choose to employ it as a cover for collecting monies destined for jihadist groups. According to one CIA study, one-fifth of all Islamic NGOs worldwide have been unwittingly infiltrated by Islamist terrorist groups. As Emerson has pointed out, some of the religious and charitable organizations have mixed legitimate activities with illegitimate, thus betraying the true aims of the donations. Investigators who seek to reveal this duplicity run a serious risk of being condemned as bigots who find wrongdoing in a meritorious religious activity that has close parallels to Jewish and Christian charities. Overall, the IPT, with its access to information and intelligence to which the government is not privy, has been instrumental in shutting down more than a dozen Islamic charitable terrorist and nonviolent front-groups since 2001. Hamas, the Palestinian Islamic Resistance Movement, a branch of the Muslim Brotherhood, offers one notable example of an organization involved in both terrorism and social services. According to Emerson, Hamas developed the most sophisticated infrastructure of all the Islamist groups operating in the United States. During the early 1990s, the group worked out of an office in Springfield, Virginia, opened by Musa Abu Marzouk. In 1981, Abu Marzouk helped create the Islamic Association of Palestine (IAP), which served as the primary voice for Hamas in the United States. IAP participants were later among the founding members of CAIR. IAP's primary activity consisted of annual conferences, which hosted various Islamist luminaries who often gave incendiary speeches. In 1980, Abu Marzouk became founding president of the United Association for Studies and Research (UASR), which some sources indicate acted as the Hamas political command in the United States. He went on to found additional groups in the United States, all of them closely associated with Hamas. For example, UASR and IAP were joined by the Holy Land Foundation (HLF), which Abu Marzouk himself designated as the primary source of donations for charitable work in the Palestinian territories. In 2001, Abu Marzouk voluntarily shut down his office after its director, Ahmed Yousef, was forced to flee the United States where he had resided illegally for twenty years. Yousef now serves as a spokesman for Hamas in Gaza. Abu Marzouk also returned to Gaza where he is now the deputy chairman of Hamas's political bureau, but in 2004 he was indicted in his absence for coordinating and financing the work of Hamas. The FBI suspects that Hamas may also have established for-profit corporations in the United States. On September 5, 2001, it executed a search warrant against the InfoCom Corporation, an Internet service provider based in Richardson, Texas, suspected of ties to Hamas. The authorities indicted its officials and subsequently convicted them of channeling funds to the Palestinian group. Law enforcement officials commented on background that Emerson's organization, with vast archives on the activities of Hamas front groups in the United States, had an instrumental role in prosecuting and convicting the Holy Land Foundation, a trial that resulted in sweeping convictions for all defendants in 2008. And the beat goes on: In 2007, the IPT broadcast video tapes on its website showing Esam Omeish railing against Israel and advocating jihad. As a result, Omeish was forced to resign from his appointment by Virginian governor Tim Kaine to the state's Commission on Immigration. In 2009, the IPT exposed the links between Viva Palestina USA and Hamas. Its report on the group laid bare its membership, activities, and motives and was provided to federal authorities for further investigation. Emerson was the first investigator to link a former professor at the University of South Florida, Sami al-Arian, to Palestinian Islamic Jihad (PIJ), an organization designated as a foreign terrorist organization by the U.S. State Department. He exposed Arian's ties to the Islamic Jihad in his 1994 documentary Jihad in America and continued to write and testify about Arian's links to the group throughout the rest of the decade. Arian has helped create several Islamist associations. One of these, the Islamic Concern Project (later called the Islamic Committee for Palestine), allegedly raised money for Palestinian Islamic Jihad and brought Islamist leaders to the United States. In Jihad in America, Emerson called the Islamic Committee for Palestine the "primary support group in the United States for Islamic Jihad." Emerson revealed that Arian was running an organization that was in effect the American branch of Palestinian Islamic Jihad. In February 2003, federal law enforcement agents arrested Arian for alleged fundraising and material support activities on behalf of terrorist organizations, including Hamas and Palestinian Islamic Jihad. In December 2005, Arian was acquitted of many serious charges against him, but the jury deadlocked on nine counts. He pleaded guilty to a single count of conspiracy to provide services to the Palestinian Islamic Jihad and agreed to be deported after serving the balance of a 57-month sentence. 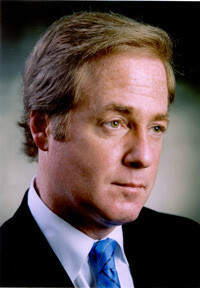 According to Bill West, the supervisory special agent of the Immigration and Naturalization Service's Miami Special Investigations Section (and now a consultant to the IPT), Emerson's "outstanding and continued original investigative journalism" of Arian and his PIJ connections "was the catalyst that resulted in the launching of the federal criminal investigation against Al-Arian and his cohorts." Emerson's detailed investigations into CAIR have generated consequences for this Islamist group in Congress. For example, in December 2006, following an appeal by "CAIR Watch" founder Joe Kaufman, Sen. Barbara Boxer (Democrat of California) rescinded an award to CAIR official Basim Elkarra, stating that she was uncomfortable with many of CAIR's positions. Not long after, Emerson disclosed Rep. Bill Pascrell's (Democrat of New Jersey) role in sponsoring a CAIR forum to be held in a Capitol facility. The Republican Party House Conference objected to this use by CAIR, whose members the Republican Party had labeled as "terror apologists." It was also Emerson who discerned that CAIR had effectively been founded by Hamas. He has long sought to expose CAIR's leading officials who have previously expressed extremist views and been linked to militant activities. One of these is Ghassan Elashi, founder of the Texas branch of CAIR, who has been sentenced to more than six years in prison for numerous offences, including money-laundering for Hamas. In 2007, CAIR was designated an un-indicted co-conspirator in the trial of the officials operating the Holy Land Foundation, who were accused and later convicted of laundering money for Hamas. In the trial, FBI agent Lara Burns testified that CAIR serves as a front for Hamas. In January 2009, Emerson revealed that the FBI was severing its contacts with CAIR due to its ties with Hamas. Emerson has released documents and tapes showing that leaders of the Muslim Public Affairs Committee (MPAC) have defended Hezbollah, excused Hamas terror attacks, compared the United States to Al-Qaeda, urged Muslims not to cooperate if FBI agents approach them, and issued demonstrably anti-Semitic and anti-American statements. In return, MPAC tried to demonize Emerson. At a conference held in late 2004, it displayed a poster called "The Faces that Are Always Talking about Terrorism," which included pictures of Osama bin Laden, Daniel Pipes, Pat Robertson, Donald Rumsfeld, and Steven Emerson. The implication was that Emerson, et al., were as nefarious as bin Laden. In December 2004, MPAC again focused on Emerson in a report entitled Counterproductive Counterterrorism: How Anti-Islamic Rhetoric Is Impeding America's Homeland Security. It pointed out that several key public officials, including former national security advisor, Gen. Brent Scowcroft, had praised the efforts of MPAC in working with government officials to combat terrorism in America. Emerson countered, saying MPAC has deceived public officials into believing the group is "moderate" while at the same time defending Hezbollah and Hamas and rationalizing radical Islam. The American Muslim Council (AMC) may have been Emerson's most dramatic exposé so far. He took issue with an invitation that President Bill Clinton extended in 1996 to Abdurahman Alamoudi, a prominent Muslim-American leader and the executive director of the AMC. The meeting between the president and Alamoudi was to take place in the White House. Clinton administration officials, including Clinton himself, Vice President Al Gore and National Security Advisor Anthony Lake, met with Alamoudi along with twenty-three Muslim and Arab leaders. According to Emerson, AMC had significant ties to Hamas and was a defender of Hamas leader Musa Abu Marzouk. Because of the notoriety Alamoudi received from the exposure by Emerson, the Clintons and President Bush returned Alamoudi's campaign contributions. This is an excellent example of how someone coming from outside the compliant structures of government can make an impact in political circles. But the matter went even further. Emerson recorded a speech in which Alamoudi voiced support for both Hezbollah and Hamas. Emerson also obtained a recording of Alamoudi calling for bombings in the United States, a tape that was introduced at Alamoudi's detention hearing and credited with the decision to keep him in jail rather than let him out on bail. In October 2003, Alamoudi was then indicted on charges that he had illegally accepted $340,000 from the Libyan government for his efforts to persuade the U.S. government to lift sanctions against the Mu'ammar al-Qadhafi regime. Then, in 2004, Alamoudi was arrested and convicted of conspiring with two Al-Qaeda members to assassinate King Abdullah of Saudi Arabia. In October, 2004, he pled guilty and was sentenced to twenty-three years in prison. Treasury documents list him as a longtime courier for Al-Qaeda and Hamas. Emerson founded the Investigative Project on Terrorism in 1995 and currently serves as its executive director; this think tank and archive maintains the world's largest collection of nongovernmental data on radical Islamic groups, including more than four million documents, thousands of hours of clandestine video and audio recordings made at radical Islamic conferences, training sessions, fundraising activities, and assorted gatherings; and tens of thousands of original terrorist manuals and periodicals. The IPT has also compiled a database of thousands of known or suspected terrorists as well as dossiers on radical groups. The IPT website offers a comprehensive counter-Islamist source of information, with government documents, proprietary information, and breaking stories. The IPT also employs analysts to collect and interpret data and sends associates to listen to speeches by Islamist leaders. To inform interested parties of its work, it mails out daily updates. Emerson also contributes to the Counterterrorism Blog website, which posts articles and information relating to radical Islam, terrorism, and nonviolent Islamist threats. The IPT receives information from a variety of sources, including many not available to government agencies. The archive holds the trial exhibits from the first World Trade Center bombing case, which include numerous records on Muslim terrorists in the Middle East and elsewhere. Emerson and his staff meticulously copied the documents, which were all publicly available and obtained from the court and prosecutors. After reviewing the records, Emerson concluded that these various Islamist groups were coordinating their activities in a worldwide network. The IPT, acting as a nongovernmental agency, assists, without fee, numerous government offices and agencies, in part because constitutional limitations tie the hands of federal and state security services. Due to a strong civil liberties tradition rooted in the First Amendment, the U.S. government lacks the authority to disband extremist groups or proscribe extremist speech. While the IPT does not possess any governmental powers or authority, it has the ability, like the media, to shine a light on the activities of Islamist groups, gatherings, and officials. Emerson often quotes Justice Louis Brandeis's dictum that "sunshine is the law's best disinfectant." The constraints imposed on government agencies investigating terrorist threats created space for Emerson's Investigative Project. Since the mid-1970s, federal authorities have been hampered in their efforts to monitor political extremism, largely due to the legacy of the secret FBI project designated COINTELPRO. Negative publicity surrounding that program led the Justice Department to change FBI law enforcement and investigative methods to de-politicize the FBI. The Levi guidelines, adopted in April 1976, require evidence of a criminal predicate or a reasonable suspicion before commencing investigation of a dissident group. These changes had dramatic consequences, not least that the number of domestic intelligence cases dropped from 1,454 in 1975 to only 95 in 1977. Nothing in the guidelines, however, precludes the FBI from opening an investigation based on information received from a private group. NGOs such as the IPT and individuals such as Shannen Rossmiller have done much to fill the void. For its part, the IPT monitors not only radical Islamic groups in America advocating violent jihad but also those employing nonviolent or "stealth" jihad. Emerson believes that the Islamist movement in the West continues to strengthen, in large part due to what he refers to as the "cultural jihad," which provides a congenial environment in which Islamists can flourish. He cites survey data indicating that many Muslim communities in the West sympathize with aspects of the Islamist worldview. These cultural jihadists in turn give moral support to the terrorists. In Globalized Islam: The Search for a New Ummah, the French scholar Olivier Roy argues that Muslims in the West often experience a trauma of "deterritorialization" because they feel estranged from their native lands. To overcome anomie and alienation, young Muslims find solace in a new, purified Islam and attach themselves to a "virtual ummah [Islamic nation]" built by them on the Internet. This pool of mostly young, alienated, Muslim men provides a reservoir from which Islamists can recruit in the West. In Emerson's opinion, the November 2, 2004 murder of Theo van Gogh by Mohammed Bouyeri was a watershed event that inspired Europeans to reevaluate the viability of the multicultural model, seeing that it results not in peaceful coexistence but rather in separatism and cultural jihadism, threatening the social fabric of Western Europe. He warns that moderates have little influence in Muslim communities in the West. Although the Muslim underclass in the United States is smaller than in Europe, Emerson finds substantial alienation in the Muslim-American community. He sees groups such as CAIR, MPAC, the Islamic Society of North America, and the Muslim American Society as agents that exacerbate this tendency. What is more, he notes, Islamist schools in the United States are often funded by Wahhabi sources promoting an extremist variant of Islam. If the Zionist crusader missionaries of hate and counter-Islam consultants like Daniel Pipes, Robert Spencer, Michael Scheuer, Steven Emerson, and yes, even the crusader-in-chief, George W. Bush were to abandon their unbelief and repent and enter into the light of Islam and turn their swords against the enemies of God, it would be accepted of them and they would be our brothers of Islam. Emerson and his colleagues remain unimpressed and continue their work. George Michael is associate professor of political science and administration of justice at the University of Virginia's College at Wise. He is the author most recently of Willis Carto and the American Far Right (University Press of Florida, 2008), and Theology of Hate: A History of the World Church of the Creator (University Press of Florida, 2009). Steven Emerson, American Jihad: The Terrorists Living Among Us (New York: The Free Press, 2002), p. 6. New York: Putnam Adult, 1988. With Brian Duffy, New York: Penguin Group, 1990. See also Steven Emerson, "Stymied Warriors," The New York Times Magazine, Nov. 13, 1988; Beau Grosscup, The Newest Explosions of Terrorism: Latest Sites of Terrorism in the 1990s and Beyond (Far Hills, N.J.: New Horizon Press, 1998), p. 405. James Kirkpatrick Davis, Spying on America: The FBI's Domestic Counterintelligence Program (Westport: Praeger, 1992), pp. 25-159. Los Angeles Times, Dec. 1, 2001. See "Why Jihad Watch?" JihadWatch, accessed Oct. 1, 2009; "About Us," Middle East Media Research Institute, accessed Oct. 1, 2009; "About the Project," Terrorism Awareness Project, accessed Oct. 1, 2009. John Robb, Brave New War: The Next Stage of Terrorism and the End of Globalization (Hoboken, N.J.: John Wiley and Sons, Inc., 2007), pp. 89-91. "About the Investigative Project," The Investigative Project on Terrorism, accessed Oct. 1, 2009. Jamie Glazov, "The-Islamist Lobby in the House: An Interview with Steven Emerson," FrontPageMagazine.com, Aug. 4, 2009. Sue Myrick, "The War at Home: When Will We Open Our Eyes?" editorial, Feb, 5, 2008, accessed Nov. 29, 2009. Peter L. Bergen, Holy War, Inc.: Inside the Secret World of Osama bin Laden (New York: The Free Press, 2001), p. 133. "Who Killed Abdullah Azzam?" Time, Nov. 24, 1989. United States of America, Appellee, v. Omar Ahmad Ali Abdel Rahman, United States Court of Appeals for the Second Circuit, New York, Aug. 16, 1999. Simon Reeve, The New Jackals: Ramzi Yousef, Osama bin Laden and the Future of Terrorism (Boston: Northeaster Press, 1999), p. 15. "Testimony," The Investigative Project, accessed Oct. 1, 2009. John Mintz, "The Man Who Gives Terrorism a Name," The Washington Post, Nov. 14, 2001. New York: Free Press, 2003. The 9/11 Commission Report (New York and London: W.W. Norton & Company, 2004), p. 441. Steven Emerson, "Saudi Arabia: Friend or Foe in the War on Terror," testimony before the United States Senate Judiciary Committee, Washington, D.C., Nov. 8, 2005. E-mail correspondence with Steven Emerson, Nov. 19, 2009. Emerson, American Jihad, p. 37; Rohan Gunaratna, Inside Al Qaeda: Global Network of Terror (New York: Columbia University Press, 2002), p. 5. Gunaratna, Inside Al Qaeda, p. 6. See Raymond Ibrahim, "The Dark Side of Zakat: Muslim 'Charity' in Context," Pajamas Media, Aug. 15, 2009. Steven Emerson, "How to Really Fight Terrorism," The Wall Street Journal, Aug. 24, 1998. WTHR- NBC (Indianapolis), Nov. 10, 2003. Emerson, American Jihad, p. 80. Daniel Pipes and Sharon Chadha, "CAIR: Islamists Fooling the Establishment," Middle East Quarterly, Spring 2006, pp. 3-20. Emerson, American Jihad, pp. 93-8; Harvey Kushner with Bart Davis, Holy War on the Home Front: The Secret Islamic Terror Network in the United States (New York: Sentinel, 2004), pp. 22-4. Emerson, American Jihad, pp. 84-5; Kushner, Holy War on the Home Front, pp. 109-12. "HLF Officials Convicted on All Counts," IPT News, The Investigative Project, Nov. 24, 2008. FrontPageMagazine.com, Feb. 9, 2008; The Christian Science Monitor, Jan. 2, 2009. United States of America v. Mohammed Abu Marzook, et. al., United States District Court, Northern District of Illinois, Eastern Division, no. 03 CR 978. Emerson, American Jihad, pp. 103-4; The Dallas Morning News, July 15, 2007. Associated Press, Apr. 13, 2005. The New York Times, Nov. 24, 2008. Associated Press, Sept. 27, 2007. "Viva Palestina: An IPT Investigative Report," Investigative Project on Terrorism, accessed Nov. 17, 2009. "Foreign Terrorist Organizations," U.S. Department of State, Washington, D.C., Apr. 8, 2008. Emerson, American Jihad, pp. 111-6; Kushner, Holy War on the Home Front, p. 52. "Target Terrorism," CBS 48 Hours, Jan. 30, 2002. "ADL Commends Law Enforcement for Arrests of Suspected Terrorist Supporters," Anti-Defamation League, Feb. 20, 2003. E-mail correspondence with Bill West, chief, Special Investigations Section, Immigration and Naturalization Service, Miami (Fla.) District Office, Nov. 19, 2009. Steven Emerson, "One Muslim Advocacy Group's Not-So-Secret Terrorist Ties," The New Republic Online, Mar. 28, 2007. Emerson, American Jihad, pp. 197-203. Steven Emerson, "Kicking a CAIR Extremist off the Human Relations Commission," FrontPageMagazine.com, Nov. 6, 2006. United States of America v. Holy Land Foundation, U.S. District Court for the Northern District of Texas, Dallas Division, Appendix A, CR no. 3:04-CR-240-G.
 IPT News, Jan. 29, 2009; FoxNews.com, Jan. 20, 2009. Steven Emerson, "Threatened by the Jihad," FrontPageMagazine.com, Mar. 14, 2007; Daniel Pipes, "MPAC, CAIR, and Praising Osama bin Laden," FrontPageMagazine.com, June 1, 2007. Daniel Pipes, "MPAC on Steven Emerson and Me," Daniel Pipes Blog, July 12, 2004. Counterproductive Counterterrorism: How Anti-Islamic Rhetoric Is Impeding America's Homeland Security (Washington, D.C.: Muslim Public Affairs Council, 2004), p. 4. "Profile: American Muslim Council (AMC)," Center for Grassroots Oversight, accessed July 7, 2009; Steven Emerson, "Friends of Hamas in the White House," The Wall Street Journal, Mar. 13, 1996. Emerson, "Friends of Hamas in the White House." The New York Times, Oct. 26, 2000. "Declaration in Support of Detention," United States of America v. Abdurahman Muhammad Alamoudi, U.S. District Court for the Eastern District of Virginia, Alexandria Division, no. 03-1009M, Sept. 30, 2003. David Frum and Richard Perle, An End to Evil: How to Win the War on Terror (New York: Random House, 2003), p. 83. The Washington Post, Oct. 16, 2004. United States of America v. Abdurahman Muhammad Alamoudi. Steven Emerson, Jihad Incorporated: A Guide to Militant Islam in the US (Amherst, N.Y.: Prometheus Books, 2006), p. 15. Steven Emerson, "DOJ Oversight: Preserving Our Freedoms while Defending against Terrorism," testimony before the U.S. Senate Committee on the Judiciary, Washington, D.C., Dec. 4, 2001; idem, American Jihad, p. 14. The Investigative Project on Terrorism, accessed July 7, 2009. Emerson, American Jihad, pp. 20-1. Davis, Spying on America, pp. 25-159. "The Federal Bureau of Investigation's Compliance with the Attorney General's Investigative Guidelines," (Redacted), Special Report, Office of the Inspector General, Washington, D.C., Sept. 2005. Davis, Spying on America, p. 176. See Shannen Rossmiller, "My Cyber Counter-jihad," Middle East Quarterly, Summer 2007, pp. 43-8. Steven Emerson, "Jihadism: Where Is It At in 2006?" Sydney Papers, The Sydney (Aus.) Institute, Autumn 2006, pp. 63-71. Olivier Roy, Globalized Islam: The Search for a New Ummah (New York: Columbia University Press, 2004), pp. 272-5. BBC News, Nov. 2, 2004; USA Today, Nov. 2, 2004; The New York Times, Nov. 10, 2004. "Radical Islamism in Europe," interview with Irshad Manji, Steven Emerson, and Gilles Kepel, Aspen Institute, Washington, D.C., Dec. 2004. "A Special Interview with Steve Emerson," The Journal of Counterterrorism and Homeland Security International, June 2006; Roy, Globalized Islam, pp. 234-43; on U.K. schools and radicalism, see "Music, Chess, and Other Sins," Middle East Quarterly, Summer 2009, pp. 78-82. Associated Press, May 27, 2004; Fox News, Oct. 29, 2004; Annette Stark, "Peace, Love, Death Metal," Los Angeles City Beat, Sept. 9, 2004. Raffi Khatchadourian, "Azzam the American," The New Yorker, Jan. 22, 2007. Beila Rabinowitz, "What Al Qaeda's Call for Pipes, Spencer, Emerson, and Scheuer to Convert to Islam Means," PipeLineNews.org, Sept. 19, 2006. Recently Mr. Emerson has had to apologize profusely and publicly for his claim that there are parts of England that are so under control of Islamic 'Jihadists' that no law enforcement dares to enter. I trust, as a Fair and Balanced researcher, you will include his obvious Islamophobia in the bio published here. In light of want has happened since this article was written it would be advantageous to all interested in our national security to update it with the most current information. This is the best review I have ever seen highlighting your history, background and progression of events. The only thing missing is a statement, by the author, to "SEND MONEY TO IPT" !! !